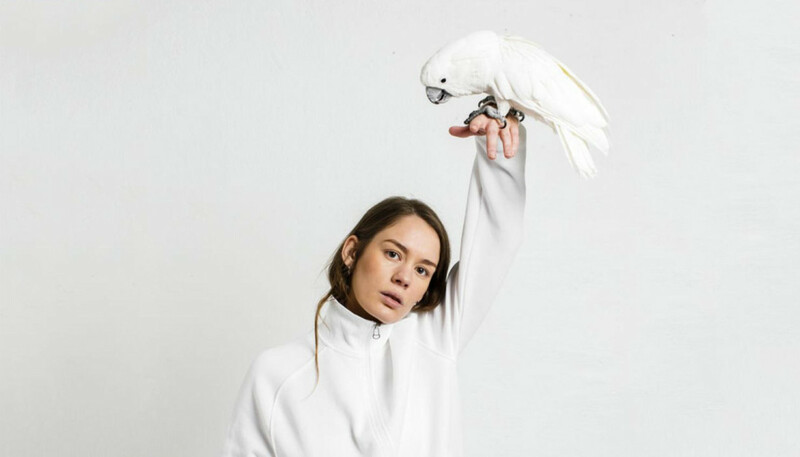 Propelled from fledgling band to blog sensations on the strength of their debut track, Norwegian frontwoman Anna Lotterud and Australian producer Brady Daniell-Smith are now poised to release their debut album as Anna of the North. We gave Lotterud a call to discuss her musical roots, and to find out more about Lovers and her recent collaborations with Tyler, The Creator. Hi Anna, you’re just back from New York, right? What were you working on? I was supposed to play The Late Show with Stephen Colbert, with Tyler [The Creator], but I didn’t have the right visa so it didn’t end up happening. But it was really fun anyways! How did your friendship with Tyler come about? We released ‘Sway’, and Taco from the group Odd Future just sent me a message on Twitter. That was two years ago, and then I met them at Øya Festival in Norway and we just kept in touch on social media. And then they got in touch with me now when Tyler did his album, and asked if I wanted to do some vocals. Inspiration is everywhere, from anything that makes your body react in positive or negative ways. Flower Boy is such a great record too. Yeah, I love it. It’s insane being on it; it’s so cool and I’m so thankful. What is Tyler like to work with? So supportive, really pushing me and really embracing me. I’ve never done anything like that, working that quick. It was the simplest process, just him going, “Hey, can you sing this?” and then I recorded it and he was like, “Cool.” It was just like boom, boom, boom: amazing on the first try. Can we rewind back to the beginning – when did you decide you wanted to become a musician? I don’t know if I ever wanted to be a musician but I always knew from a young age that I really wanted to sing. At that point I don’t think I thought what a musician even was but I always jumped about, singing Britney Spears and Spice Girls, dreaming about doing that stuff, you know? Music followed me through the entire growing-up process and I think it was probably something I never dared to try to do because I was unsure. My self-confidence was... I don’t know. It’s hard with music because when someone’s young and they’re like, “I’m gonna be a teacher,” and you can study to do that. You can’t just say, “When I grow up I’m gonna be a pop star,” and you’ll be it. In Norway, as well, there’s this judgemental thing called “janteloven” and it means you’re nothing before you actually are something. Like, nobody says what they do and people are afraid of sharing their creativity because you shouldn’t say you’re someone until you’re actually someone. And the people that do, they often get people saying, “Oh, you think you’re better than everyone else.” So of course, I always wanted to do music but I didn’t think that was something you actually could do. That just happened to some lucky people. I would never stop making music because it’s like a diary for me. Some people express themselves through words or art and I do it through music. Some days I don’t even write, I just play guitar and sing stuff as a way for me to express myself. But I didn’t think that it would be possible that I would make music and that people would listen to it, if you know what I mean? When did that start looking like a possibility? That was when ‘Sway’ picked up and then we were just like, “Oh sh*t, shall we start a band then? Shall we just do this?” I think now, with the album coming and the interest around the project, this is when I’m starting to actually believe that we’re actually doing this. How did you meet your creative partner Brady Daniell-Smith? We met in Australia. I was studying there and he played at this show in a bar and we had some common friends so I went. Actually, that night before I went there, I was jamming at my friend’s place and then they tricked me to play in Brady’s path and that’s how we met. So it’s weird. We didn’t actually hang around much in Australia but we talked a lot on the internet and shared a lot of music we liked and music that we’d written. When did you first start writing together? I remember he posted an acoustic song on his SoundCloud called ‘The Dream’, and I remember I really loved that. And he also posted a more electronic track that he’d done and I remember being like, “Sh*t, can we do something like that because I really like it?” and that’s how ‘Sway’ came about. 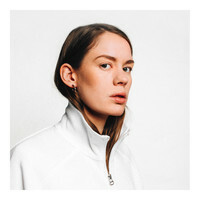 I recorded the vocals on GarageBand and it was produced on an iPad, so it’s super low-key, and then while I was sleeping Brady made a new SoundCloud and called it Anna of the North, because when I was in Australia everyone was calling me “Anna from Norway.” I woke up and he was like, “Hey, now you’re an artist and you have your own artist page, congratulations.” The song had 1,000 plays and it just kept growing, so it was like, “Ok, I guess I’m Anna of the North now.” (Laughs) So that’s when we started writing together. It’s super weird – there was not a plan that that was going to happen. What was the goal sonically for this album? We wanted to tell a story and wanted all the songs to make sense but mainly it was just a collection of songs that we’d written that we like. (Laughs) Of course, it’s important to find balance and what I’m really happy about is that we have finally shown the slow jams, the more personal and low key stuff. I was really stoked about being able to show all sides of the project, not only the singles. For the benefit of anyone yet to hear it, what can they expect from Lovers? I’d really like to say that the music is what it is for us, but we don’t wanna guide anyone. We want everyone to get attached in their own ways and make their own minds up. But they can expect a lot of love songs. The name ‘Lovers’ was chosen because for me lovers is not only a name for couples, it’s also about friends and family. So the first song on the album is about helping a friend through a hard time – a friend supporting another friend – and the same with ‘Money’. Where do you draw lyrical inspiration from? I think for both me and Brady it’s mostly experiential, but it can also be things you observe. When you go to bed at night, that’s when you go through the day, and you get ideas and melodies. Inspiration is everywhere, from anything that makes your body react in positive or negative ways. I have some days where I’m really emotional. What have you learned in the making of this album? From how the project started, it just kinda happened, so I didn’t really know how anything worked and I didn’t know much about the music industry at all. The only thing I knew was that I liked making music. So I learned a lot, not just about making music but through meeting people. I meet so many people I wouldn’t have met without doing music, whether that’s bands or people working in the industry, or people liking the music and coming to the shows to show their love and support. And I’m way more secure and stronger as a person. So musically and personally I think I’ve grown a lot. What’s the plan for the rest of the year? We’re gonna go on a European tour and then we’re planning on going to the US and Australia, so there’s going to be a lot of playing shows. And I really want to get into writing again as well, because now I’ve done one album, already I’m looking back at it going, “We should have done that differently.” We’re perfectionists so nothing is ever finished. But I think at one point you have to stop because you’re gonna ruin it. Do you have any further collaborations planned? We have, but nothing that’s really confirmed yet. That’s really fun because before the album and until now we haven’t really wanted to collaborate with too many people because we wanted to find our sound. But from now until the album’s out, is the perfect time to go explore. Finally, who would your dream collaborator be? Celine Dion. (Laughs) That would be fun. We would balance out each other so good on a really strong power ballad.